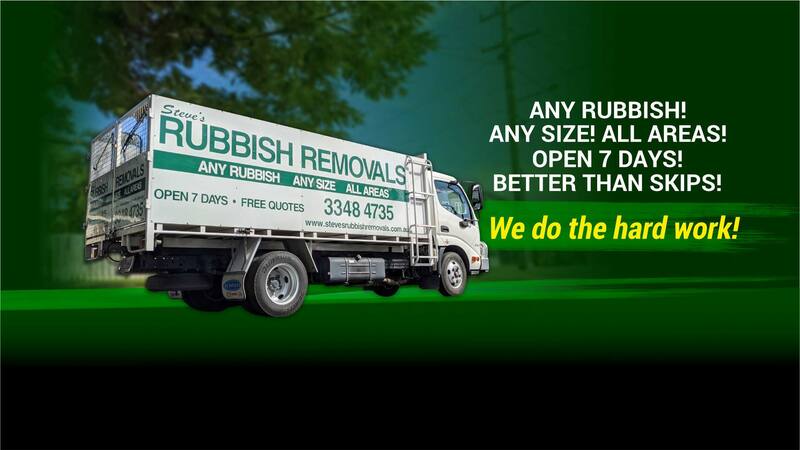 …For Your Brisbane & Greater Brisbane Junk Removal? What is the difference between a Truck and a Skip? Loading the ute up may work if you have bags of time and energy and not too much waste to dispose of. Hiring a skip bins service in Brisbane and all surrounding areas involves firstly arranging a suitably sized one for your needs – something that many people get wrong and end up paying through the nose for. Then you need to arrange a mutually convenient time for the skip to be delivered; do the hard work of loading the skip up yourself; and then wait for it to be collected at another mutually convenient time, which could take days, blocking the driveway and annoying the neighbours. It’s also possible, depending on the size of the skip and where you plan to place it, that you need to apply for a special permit from your local council. Do you really have the time, let alone the energy, to go through all this? Not to mention the added worry of doing yourself an injury in the process, if the junk is heavy? A far better option is to hire a professional Brisbane junk removal service that will do everything for you and make the whole process smooth and painless! We even tidy up before we leave you! Anywhere in Brisbane & Greater Brisbane and all surrounding areas, 7 days a week – no job too big or small!